She comes from a very practical family. Her dad is a handy-man savant, one of her brothers is general contractor, another owns a commercial window installation business. In practical matters, men in her family are skilled, creative and proactive. I’m the exact opposite. Thankfully, my wife is a patient woman and she endures a variety of minor home maintenance issues, without complaint. When repairs are needed around the house my usual tactic is to ignore the problem, hoping that it magically fixes itself. But Saturday was different! Our downstairs toilet was broken, and I (pleasantly) shocked my wife when I took action. Opening the top of the toilet, the issue was obvious. The chain that connected the handle to the rubber valve, that opens and closes the water flow in and out of the toilet, was broken. The busted chain was the only problem, and once it was fixed, the toilet worked great. If you are business leader, your personal integrity is like that toilet chain. You can be competent, visionary, and even charismatic, but your leadership will not work if the chain of your integrity is broken. Let’s begin by exploring what integrity is all about. You have desires, a conscience, and a will. Your desires can be good or evil, selfish or altruistic. Your will is the means by which those desires are fulfilled, and your conscience is the inner voice which evaluates your desires and tells you if they are right or wrong. Each day you experience an internal battle between good and evil desires. You lose this battle when you ignore the warnings of your conscience, and choose to do things you know are wrong, or choose to not do things that you know are right. 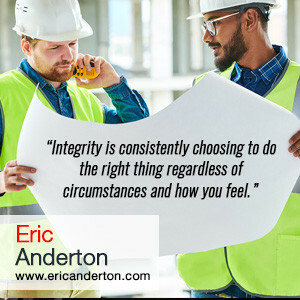 Integrity is consistently choosing to do the right thing regardless of circumstances and how you feel. 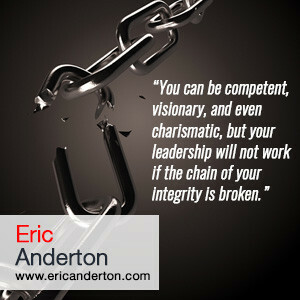 So, what is the link between integrity and your leadership effectiveness? Every public word you utter, every decision you make, every reaction you have to a crisis or a success is observed and evaluated by those that you lead. For instance, if you say that “showing respect for people” is the right thing to do, but you berate your subordinates when they make mistakes, or speak ill of a competitor or a customer, your people see this, and mark it as a failure on your part. Sometimes leaders get a little cocky and think their brilliance will somehow make up for their lack of integrity. This is a dangerous deception. Your people may never say anything, but their disapproval of your behavior will be seen in the way they perform, and in their long-term commitment to your company. I have five children age 4-13, and I admit in the midst of the whirlwind of activity, noise, and normal sibling conflict, I can lose my cool. As you lead your company, at times it’s easy for you to feel like your employees, customers and business partners act like a bunch of unruly kids, and you are justified when you blow your top, isolate yourself, or belittle them. How do you think my kids respond? Immediately, and almost casually, they say “Sure, I forgive you.” Our relationship is quickly restored and I am able with a good conscience to continue in my role of leadership. You may think your employees are not kids, and they are less likely to receive such an apology. Maybe you’re right, but can you afford not to try? You might be surprised to see how warmly adults respond to genuine humility. Keep in mind that integrity is consistently choosing to what is right, regardless of how you feel or the circumstance. 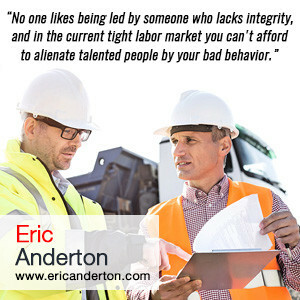 Your employees are watching you and when they see a lack of integrity they are likely to lose motivation and be less willing to follow your lead. 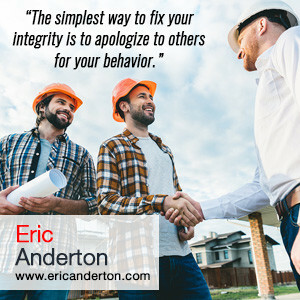 Finally, remember that the simplest way to fix your integrity is to apologize to others for your behavior. Your integrity is like that chain that flushes the toilet. If it’s broken you lose all ability to lead. 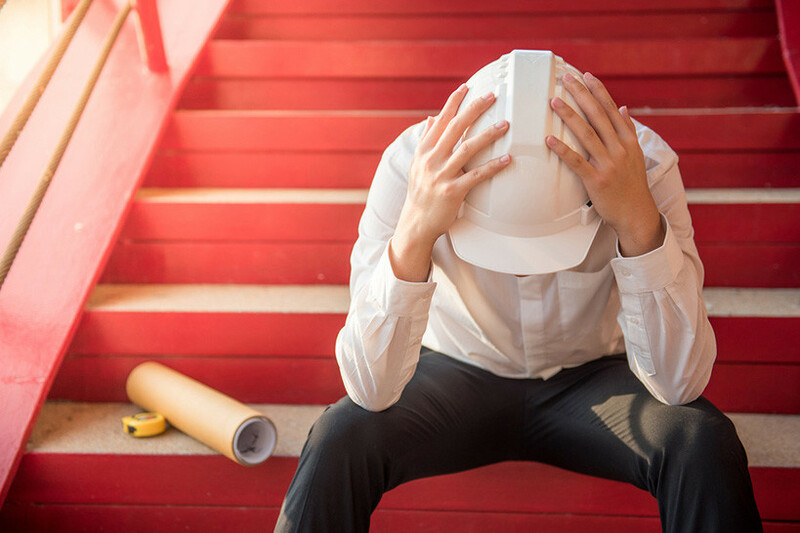 Fix your integrity by applying the insights in this article. Now that you understand how to fix your integrity, how do you maintain integrity over a long period of time? That requires sustained, and disciplined changes in behavior. Our behaviors (good or bad) are rooted in the way we perceive ourselves. If you’re feeling brave and would like to explore some of your self-perceptions that may be producing negative behaviors, click this link to instantly download and take a quick assessment. I think you’ll find the results illuminating.